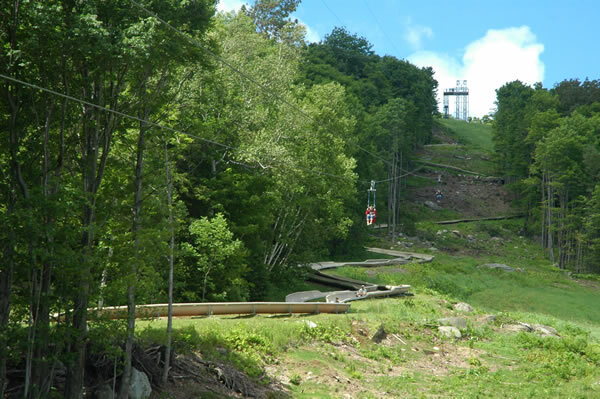 For information on hours/days of operation and pricing please call Bromley at 802-824-5522 or visit their website at bromley.com. 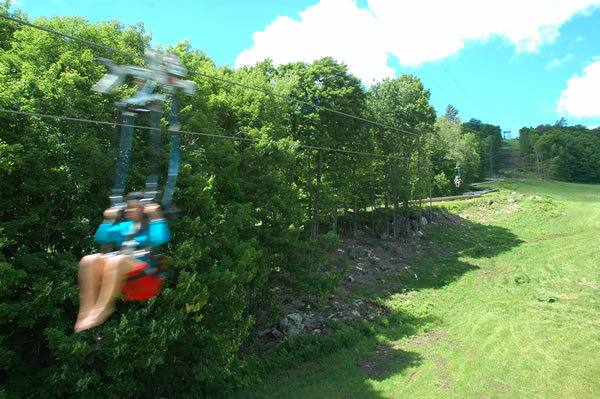 The Bromley ZipRider (Sun Mountain Flyer) opened to the public on July 3rd, 2009 and was sold out from day one. 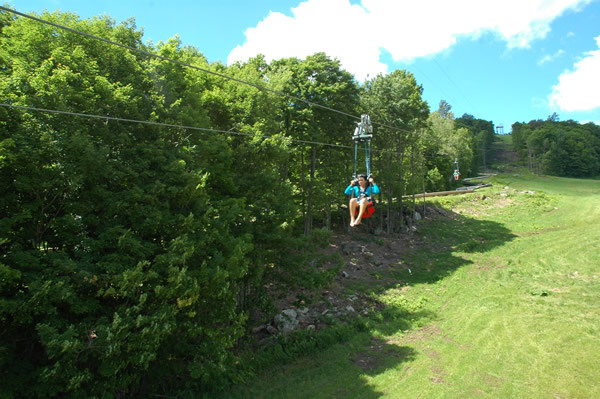 This is the second ZipRider to open in the New England area and has been a well received addition to the array of summer activities already offered. 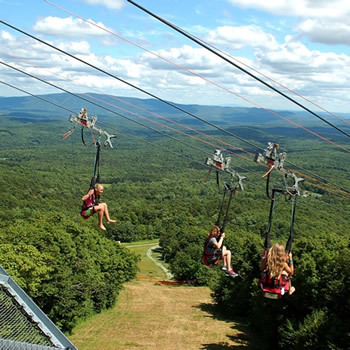 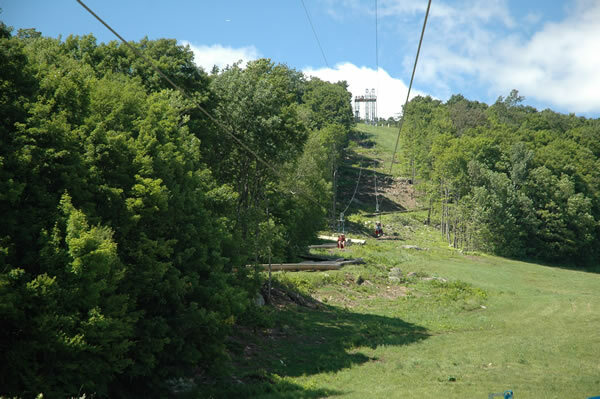 In order to increase capacity Bromley Mountain expanded this ZipRider from a two-cable ride to a four-cable ride before the 2010 summer season. 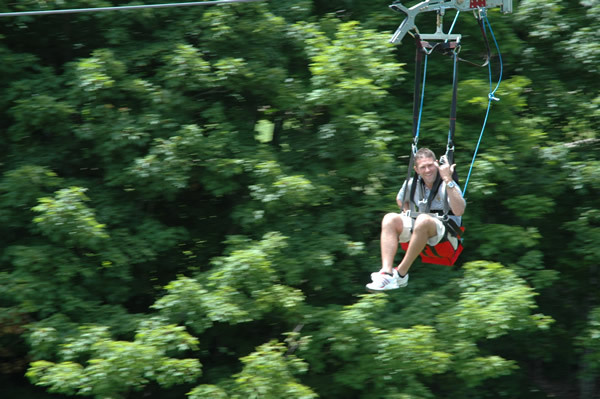 The ride has been a huge success. 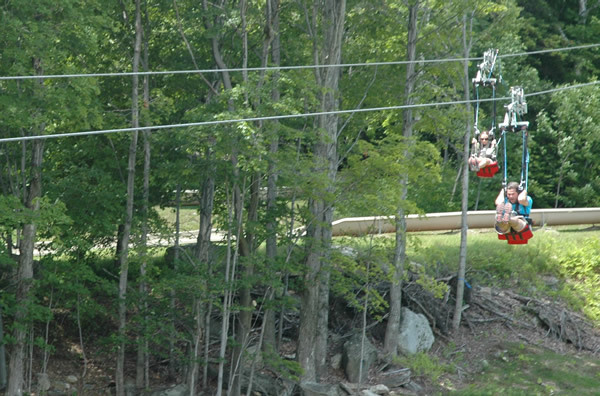 Sold out every day, nothing but great feedback. 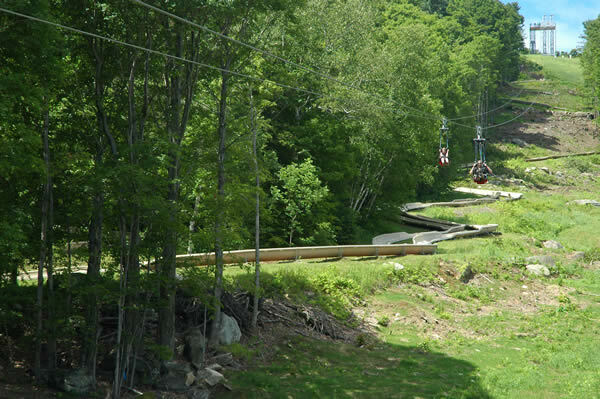 We are 20% over last year’s revenues already. 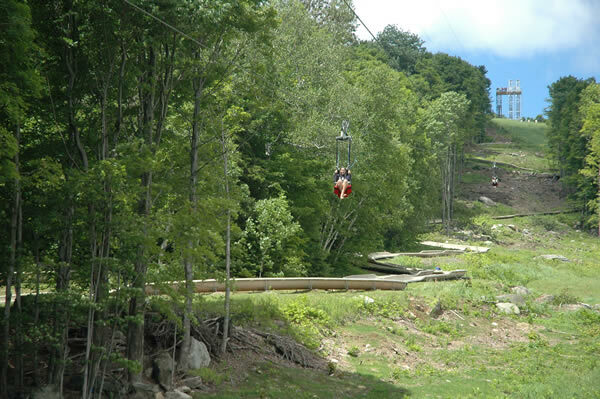 The Bromley ZipRider is the new showcase of the mountain. 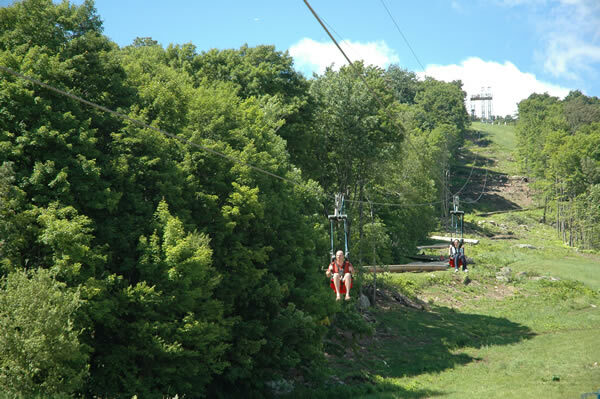 After a scenic ride up the Alpine Chair Lift guests begin their ZipRider experience atop the 50 foot tall upper towers. 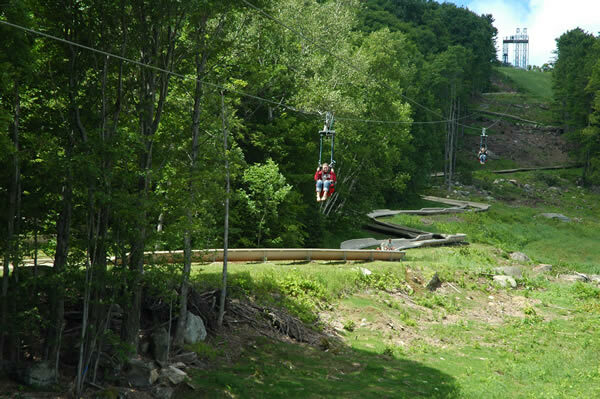 This is a unique ride as the cable profile is quite low to the ground, giving riders an exhilarating sense of speed as they fly through the tight corridor of trees down the mountain at speeds up to 50 mph. 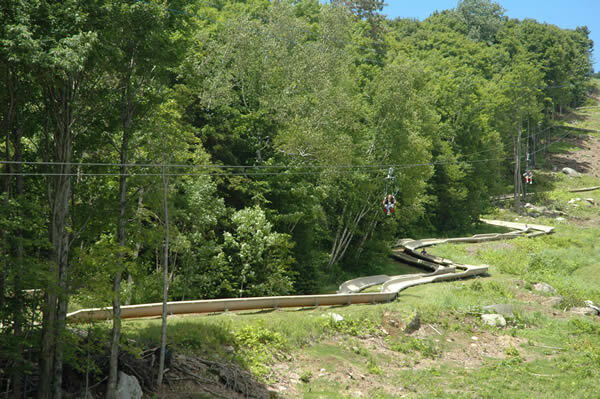 Wave to your friends as you fly over the Alpine Slide multiple times during the summer, and over the ski runs below in the winter. 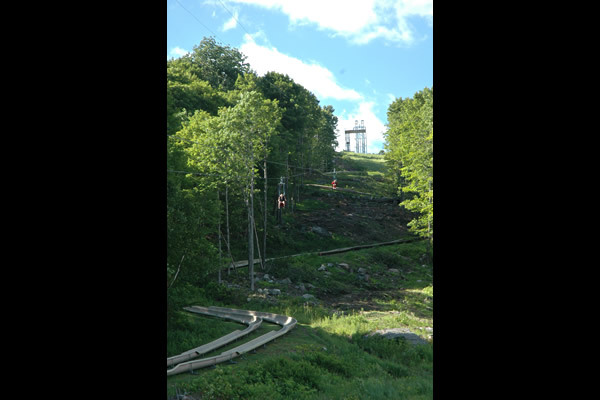 With the landing area perched just above the Sun Mountain Adventure Park riders are back to the center of activity where more fun awaits. 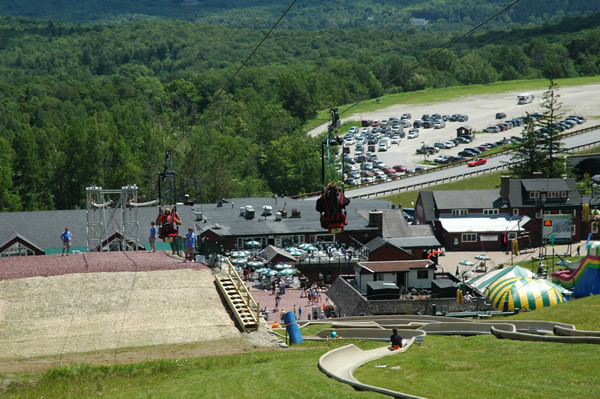 For more information on hours of operation please visit http://summer.bromley.com/rates.